Hudson Maxim slides down a sandbank while two men look from atop the embankment. A wagon filled with sand stands near the bottom with a third man looking at Hudson. A couple of buildings are visible in the background, through bare trees. 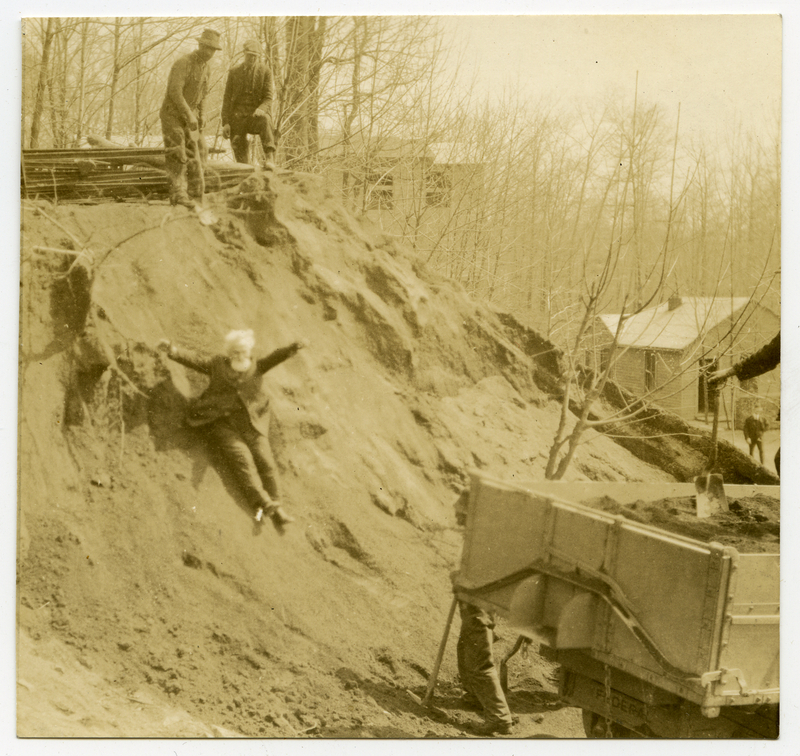 Johnson, Clifton, 1865-1940 , “Sliding down a sandbank ,” Digital Amherst, accessed April 23, 2019, http://www.digitalamherst.org/items/show/3125.